A business’s success depends largely on how well employers treat staff and respect should be the key ingredient, irrespective of the industry. 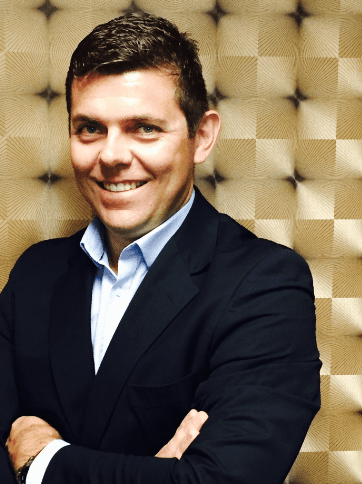 This, according to the newly-appointed General Manager at the Westin Cape Town, Leon Meyer who maintains that respect for people and good listening skills is the key to guaranteed success in all industries, including the demanding and evolving hospitality sector. “I am elated to be a part of this extraordinary group of hotel establishments and I look forward to building on my personal philosophies to further grow its success. The answer to achieving success is simple – treat staff with the utmost respect, keep them motivated and encourage them to always put their best foot forward. If everyone the world over can get this right, the foundation will be solid and the business will thrive. In our industry, if we respect and listen to each other, we will do the same for our guests, which means they will keep coming back to our hotel,” says Meyer. Leon’s career in the hospitality industry includes holding senior positions at prominent local hotel groups, including Sun International and African Pride Hotels. He also spent time on three international cruise liners between the years 2000 and 2007. This Durban lad, who was born and raised on the South Coast, loved working on cruise liners – the largest ship he was employed on accommodated about 3000 guests at a time! “It was a fascinating experience, but I missed my family and I made the decision to come back home – there’s no place like home,” he says. And while few people know that hotel management was not Meyer’s first career choice, today he’s thankful he made the swap from studying law to pursuing a hotel management qualification later on. “I believe that this industry ‘chose’ me. And I love everything about it, especially the people. Every day, I get to spend time with people from all corners of the world. I get to learn about new cultures and traditions, which is the ultimate reward,” says Meyer.